The three-day event offers plenty of lessons for event organizers that want to use event signage to engage, stimulate and inspire guests. Montreal, Quebec – June 1 2018: C2 Montreal is far from any traditional conference. Beyond its world-class speakers, the event has C2 labs, masterclasses, hands-on workshops, curated one-on-ones and entrepreneur programs that encouraged its guests to discuss new ideas, try new methodologies, build meaningful connections and learn new skills. 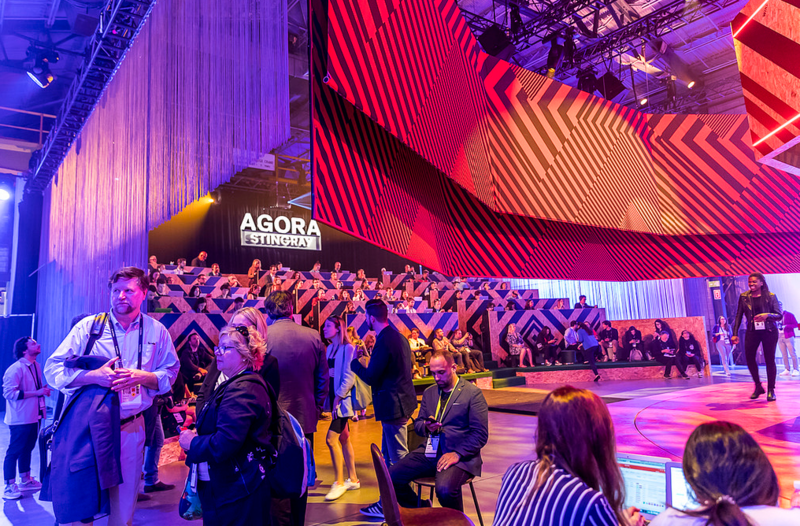 The 2018 C2 village acted as the perfect playground to make this possible; with functional and creative pieces, it created a fully immersive environment, where guests were able to move from one activity to another and find what they’re looking for, both easily and quickly. What can we learn from the event signage at the C2 Montreal site? When executed properly, it can help create a positive experience for its guests. Once the site for the event is determined, make sure that all the important places are well indicated. 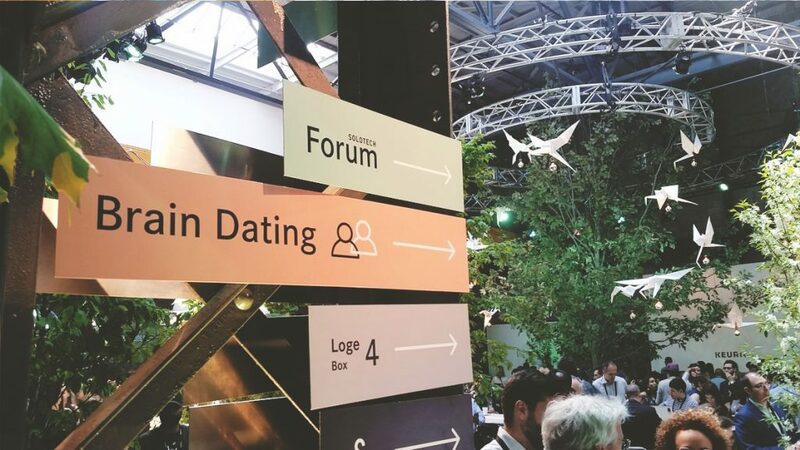 With clear signage, at C2 Montreal 2018, guests were able to get from A to Z effortlessly. Think of new and creative ways you can display information throughout your site. 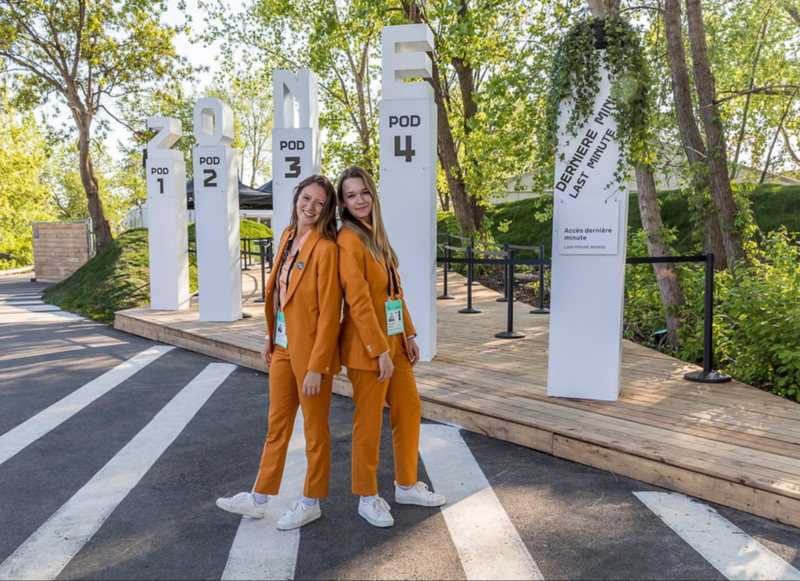 C2 Montreal 2018 used a lot of fully custom cut-outs and 3D letters and signs, including 3D letters, made of aluminum, that spelled out ‘Zone.’ As fun, creative pieces, they stood out from the ordinary, which helped guests find them more easily and quickly. As unique pieces, they also they offered photo ops for guests to take pictures in front of and share on their social media platforms. Use bold elements to help define spaces and set them apart from others. With immersive elements, C2 Montreal 2018 was successfully able to create distinctive, memorable spaces throughout its site. 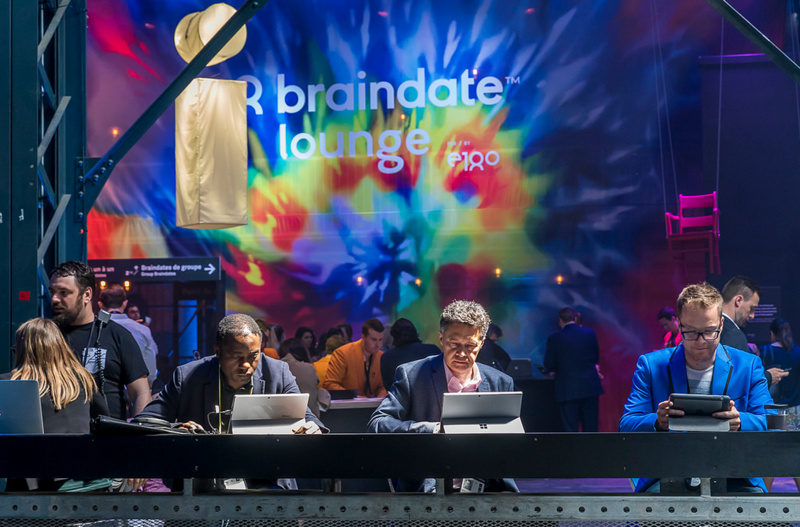 Its Braindate Lounge, a space where guests could discuss ideas, for instance, featured a 100’ W x 20’ W multi-color fabric banner. With chairs that lifted into the air, it was a space that was unlike any other. With different spaces come sponsorship opportunities for brands that want to associate themselves with a given theme. C2 Montreal 2018 named a number of its rooms after different sponsors of the event. 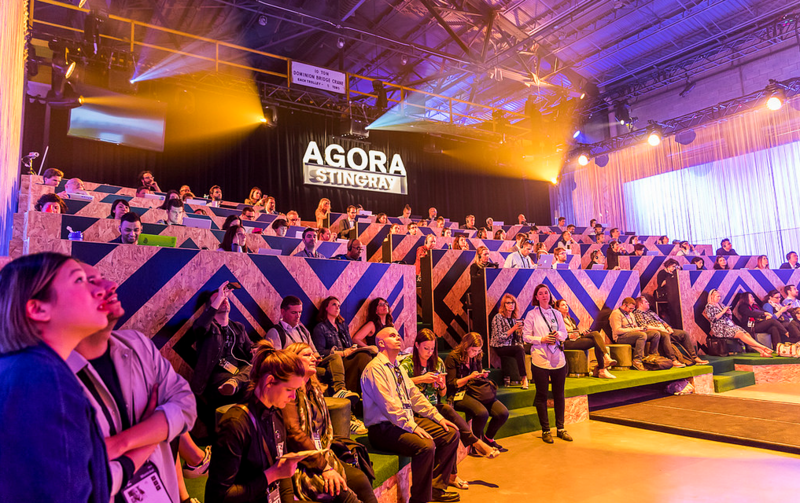 Beyond the hanging fabric banners, spanning 51′ W x 9′ H and 51′ H x 11′ H, with prints on both sides, the Agora had fully custom cut-out letters, made of foam, to promote its sponsor, ‘Stingray. ’ While sponsors gain from the exposure, guests benefit from being able to associate another element to a given space. In busy events, meeting points offer guests a chance to meet and catch up with one another between conferences and workshops. 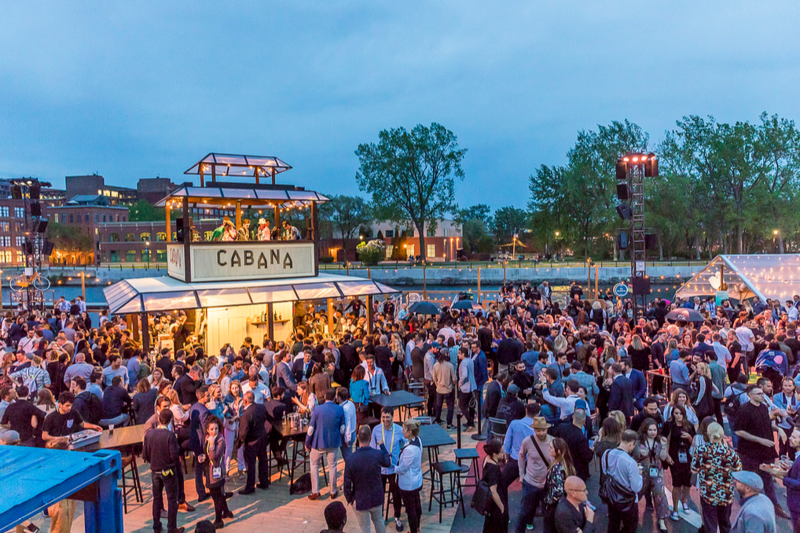 At C2 Montreal 2018, our favorite spot was the ‘Cabana,’ a tall, temporary structure that was close to the many activities nearby. With fully custom cut-out letters, made of wood and covered in adhesive vinyl, on all four sides of its walls, guests were able to find it easily. By offering refreshments, the meeting point proved to be a popular meeting spot, where guests could regroup and recover. 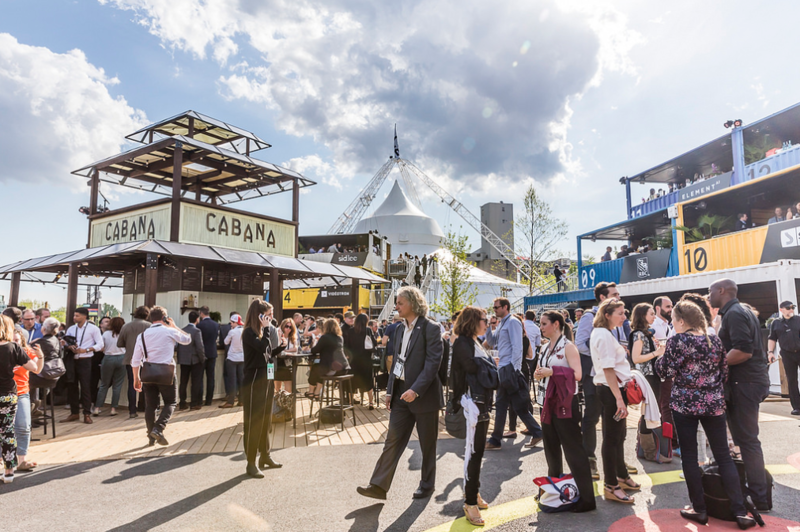 Without a doubt, C2 Montreal 2018 owes a part of its success to the environment it created for its guests. 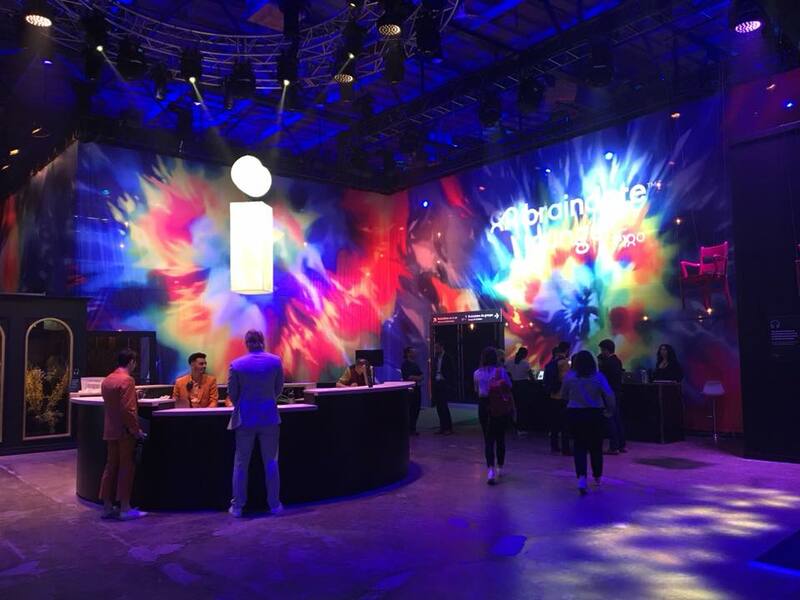 With clear, yet creative, event signage, it was able to improve the experience it offered. As functional elements, the signage helped guests get from one activity to the other and create distinctive, memorable spaces that left them feeling engaged, stimulated and inspired. How will you incorporate event signage to your next event to create a positive experience for your guests? 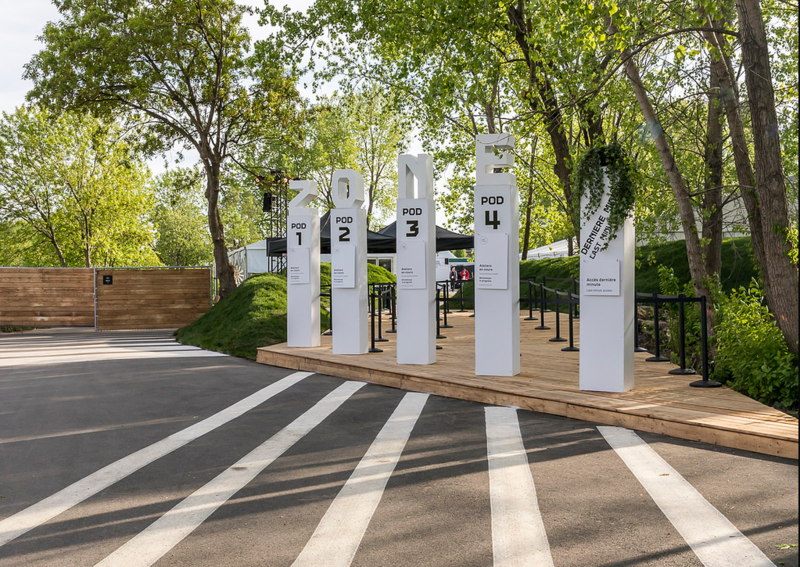 Will you draw inspiration from the event signage at the C2 Montreal 2018 site?